Specialised Air Motors & Transmission (TONSON AUSTRALIA) announces a new line of worm gearboxes designed for versatile application. TONSON Australia (SAMT), a distributor of Tramec products in Sydney has introduced a new line of worm gearboxes to their extensive range of gearboxes. 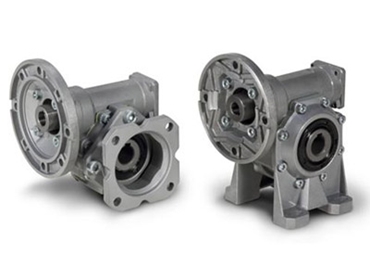 Available in several variants with or without feet, the Tramec K series worm gearboxes can be used in multiple applications. The latest addition makes TONSON Australia a complete one-stop shop for any worm gearbox requirement. Key features of Tramec K series worm gearboxes include extremely lightweight design thanks to the compact housing made of cast iron as well as die-cast aluminium; carefully engineered to achieve ideal performance and efficiency; ease of installation and usage by the end user; and availability in different ratios, power and torque outputs. TONSON Australia (SAMT) offers a complete range of industrial gearboxes, industrial geared motors, modular worm gearboxes, planetary gear units, large gearboxes (mining) and screw jacks for use in all major industries.